Peace of mind is offered to you and your loved ones in just a few clicks. Traveling with family or friends will be more enjoyable when you are sure that you are always covered. Because, when you have health problems, not only the trip will be less fun but you also have to face financial problems in foreign countries. 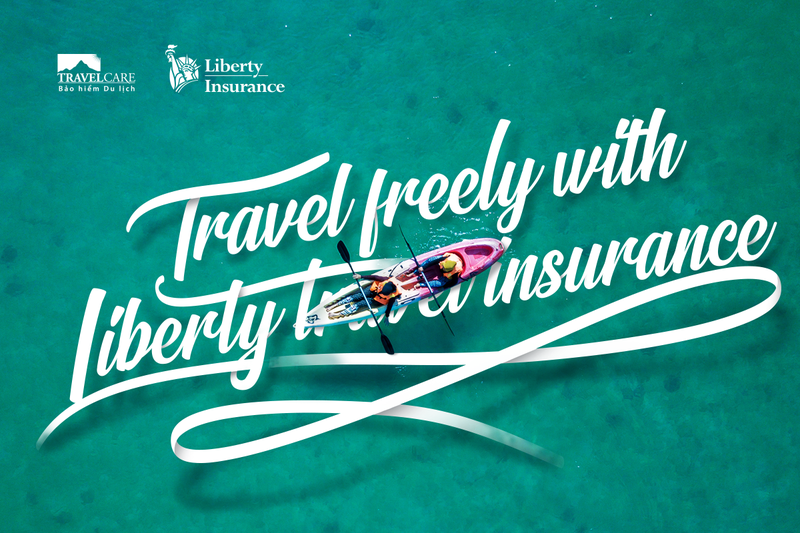 Travel insurance Liberty TravelCare brings you and your family maximum peace of mind when traveling abroad with a maximum interest of up to 3 billion. Up to 1 billion VND. (varies by length of travel). Up to 2 billion VND. Up to 3 billion VND. Liberty TravelCare provides superior protection for individuals and families travelling abroad. – Must be an existing Timo customer. – Liberty TravelCare is only available to Vietnamese citizens and permanent residents under 75 years of age. – Vietnamese Nationals and Foreigners (with a resident card) can apply. – TravelCare can be purchased for yourself or for you and 1 adult. – The number of children this policy can be purchased for is unlimited but the age must be between 0 to 17 years old. – The children must have an affiliation to one of the registered adults. Select destination, travel days and & plan. Enter your details, select confirm and complete the purchase. Select travel days and destination & plan. Select to buy for just you or including your family (max including 1 adult and unlimited for children). How can i benefit from Travel Insurance? https://timo.vn/wp-content/uploads/2018/03/header-logo.png 0 0 zodinet https://timo.vn/wp-content/uploads/2018/03/header-logo.png zodinet2018-09-25 14:30:572018-09-25 14:30:57How can i benefit from Travel Insurance? Can i buy travel insurance on behalf of my family members or group of my friends? You can only buy insurance for a member of your family or a friend, in the event that you are also an insurance policy holder and accompanying them on the trip. https://timo.vn/wp-content/uploads/2018/03/header-logo.png 0 0 zodinet https://timo.vn/wp-content/uploads/2018/03/header-logo.png zodinet2018-09-24 16:15:402018-09-24 16:15:40Can i buy travel insurance on behalf of my family members or group of my friends? Can i purchase travel insurance for my parents? https://timo.vn/wp-content/uploads/2018/03/header-logo.png 0 0 zodinet https://timo.vn/wp-content/uploads/2018/03/header-logo.png zodinet2018-09-24 16:15:022018-09-24 16:19:42Can i purchase travel insurance for my parents? Is there a refund policy i cancel my travel insurance before i use it? https://timo.vn/wp-content/uploads/2018/03/header-logo.png 0 0 zodinet https://timo.vn/wp-content/uploads/2018/03/header-logo.png zodinet2018-09-24 16:14:472018-09-24 16:14:47Is there a refund policy i cancel my travel insurance before i use it? Does this insurance include travel anywhere including Vietnam? https://timo.vn/wp-content/uploads/2018/03/header-logo.png 0 0 zodinet https://timo.vn/wp-content/uploads/2018/03/header-logo.png zodinet2018-09-24 16:13:452018-09-24 16:19:06Does this insurance include travel anywhere including Vietnam?